Edited by Joseph Stephen James, 1911. Centennial Edition edited by Jesse P. Karlsberg, 2015. Hardcover: $25/book + $5 shipping via USPS anywhere in the United States. Shipping for additional copies is only $2.75. Purchase cases of eight books for $200 + $20 shipping (domestic) or $130 (international). Note: This is a commemorative reprint of a historical edition of The Sacred Harp. 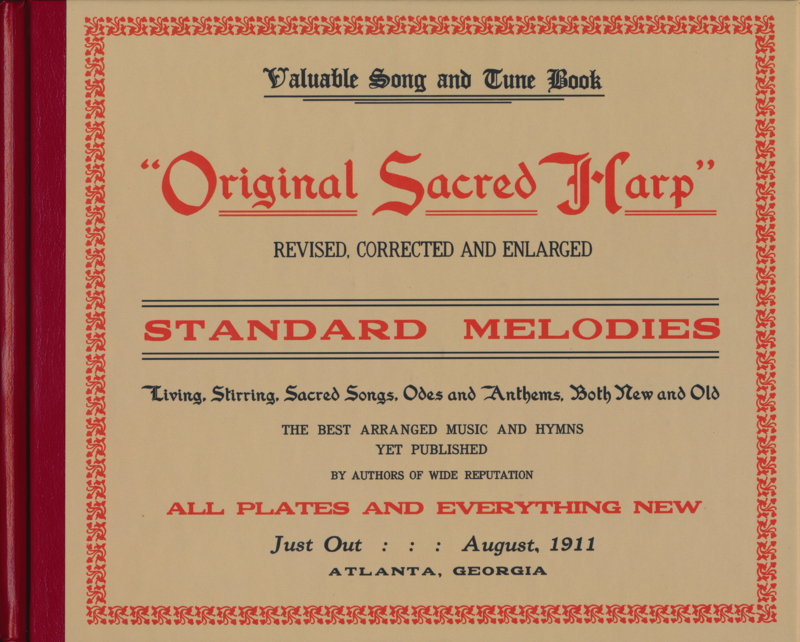 The Sacred Harp Publishing Company also publishes The Sacred Harp, 1991 Edition, the most widely used current edition of the tunebook. Payment is by PayPal or check. Order via PayPal by clicking the button below. Make check payable to the Sacred Harp Publishing Company and mail to: Sacred Harp Publishing Company, c/o Philip Denney, 208 Oak Grove Road, Carrollton, GA 30117. Contact the ordering team with questions at ordering@originalsacredharp.com. Jesse P. Karlsberg is a postdoctoral fellow in digital humanities publishing at Emory University and serves as the vice president of the Sacred Harp Publishing Company.